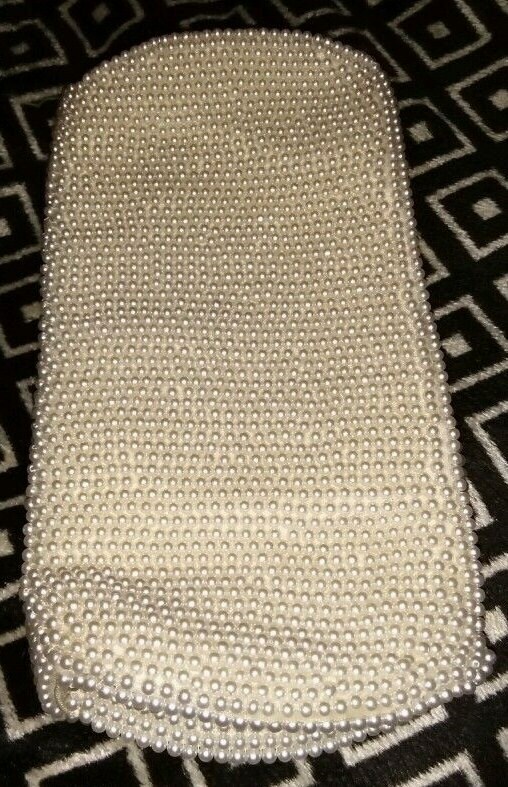 Gorgeous La Regale beaded evening bag. 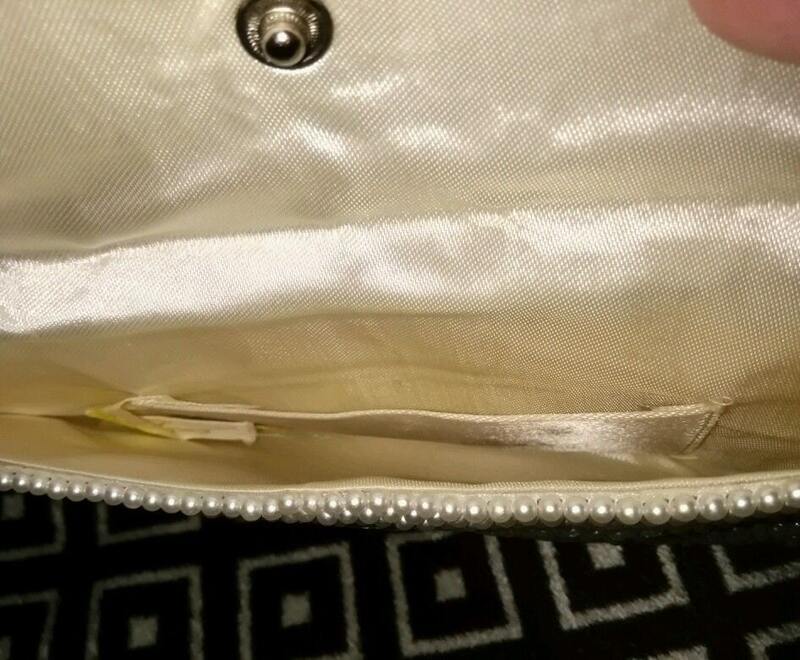 Perfect exterior of white beads with gold bead accent. Has a 30's vibe. Rectangular body is 8.5 inches long x 4.5 inches high and less than half an inch wide. Snap closure. White satin interior with one patch pocket. There are a few small black marks on the inside patch pocket. Interior label reads Exclusively Made for La Regale. 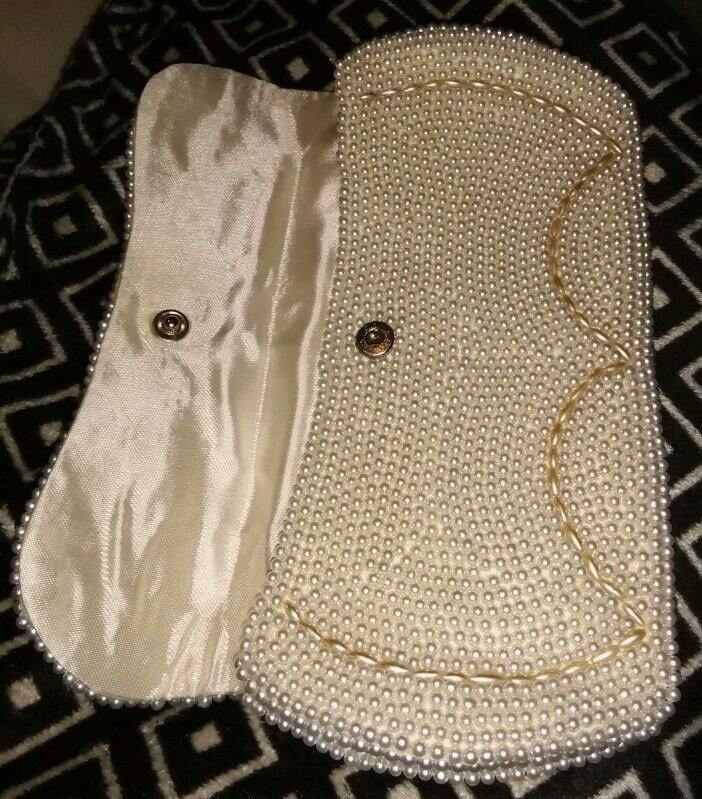 Interior large enough to hold a cell phone, lipstick, credits cards, comb. Enjoy your evening! These bags were and are often used in Japan as a pretty accompaniment while in kimono.